The problem with plastic mailers is twofold: They need to be recycled separately, and if they end up in the usual stream, they gum up recycling systems and prevent larger bundles of materials from being recycled. “We are continually working to improve our packaging and recycling options, and have reduced packaging waste by more than 20 percent globally in 2018,” said Amazon spokeswoman Melanie Janin. She added that Amazon provides recycling information on its website. One of the few Fortune 500 companies not to file a corporate social responsibility or sustainability report, Amazon said its “Frustration-Free” packaging program reduced packaging waste by 16 percent and eliminated the need for more than 305 million shipping boxes in 2017. “Companies can take a good material, and depending on label, adhesive or ink, make it nonrecyclable,” Goodrich said. 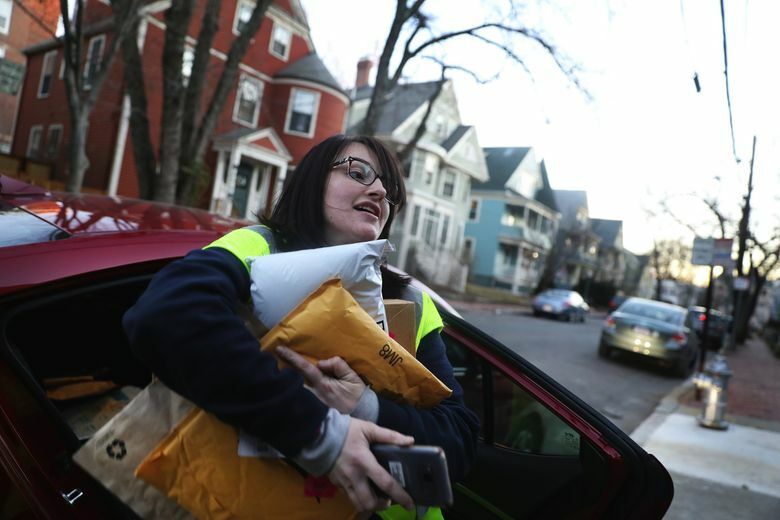 For now, those padded plastic Amazon mailers can be recycled once consumers remove the label and bring the mailer to drop-off sites found outside some chain stores. Clean, dry and in aggregate, such plastic can be melted and made into composite lumber for decks. Cities with plastic-bag bans, like Seattle, contain fewer drop-off sites.